On Sunday, I posted this photo to Facebook, noting that I had owned this book since I was 2 1/2 years old. It took a friend approximately three minutes to name two of the kittens (Paddy Paws and Toddly) featured in the tale. He also quickly found a link to the series, titled Books for Young Explorers, on LibraryThing. Looking at the inscription date — December 1974 — and considering the fact that the book was from a branch of the family with whom we did not usually exchange Christmas gifts, I can only reason that this book was offered to me as a consolation prize after my little brother was born. A kitten would have been more appreciated. My real question is how I didn’t manage to obtain this entire series. Because a quick look at some of the titles (Amazing Otters, Animals of the High Mountains, Animals that Build their Homes) tells me that this series was written specifically for me and my kind. 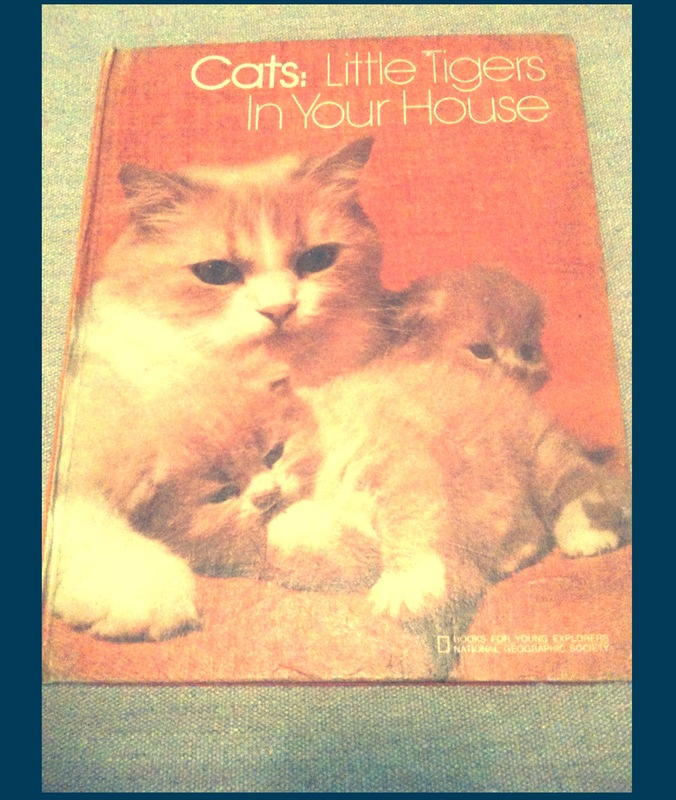 It’s made it through a lot of moves and book purges, I think because I love the title so much: Little Tigers in Your Home. I also must admit, however, that flipping through page after page of kitten photos never gets old.